TIP: Some say it’s the first circular museum in the world. Nevertheless, the Pavillion was a mosque for a year. And although the minarets were torn down, the locals still refer to it as “the mosque”. Mestrović Pavillion was one of the first round exhibition halls in the region. Built-in 1938 as a monument to King Peter and a House of Fine Arts it changed its purpose several times. It was turned into a mosque with 3 minarets in 1944, yes only 3 years later. But that’s not the funny part. The mosque was open only a year. The minarets were demolished only 5 years later and the mosque was turned into The Museum of the Revolution in 1955. Regardless, locals still refer to it as “džamija” the mosque in Croatian. Although it changed its purpose several times, today it is a Home of Croatian Artists as originally intended by Meštrović and Art Society Strossmayer. 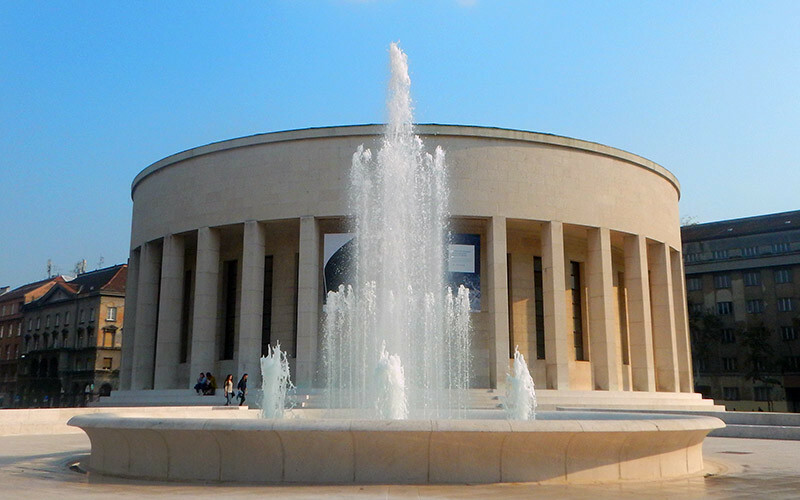 Today, it is one of the most notable arts and exhibition spaces in Zagreb. Within you will find three galleries. The Ring Gallery, the Barrel Gallery, and the Extended Media Gallery. Closed on Monday, Tuesday and during the holidays. 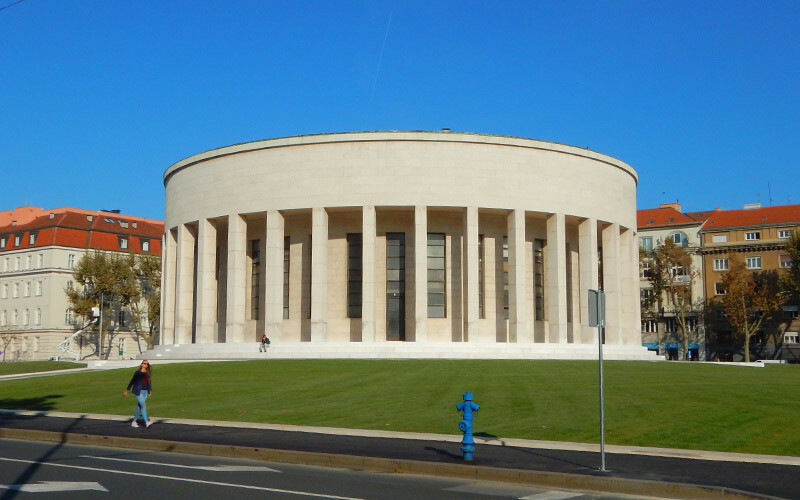 What can you see and do at the Mestrović Pavillion? 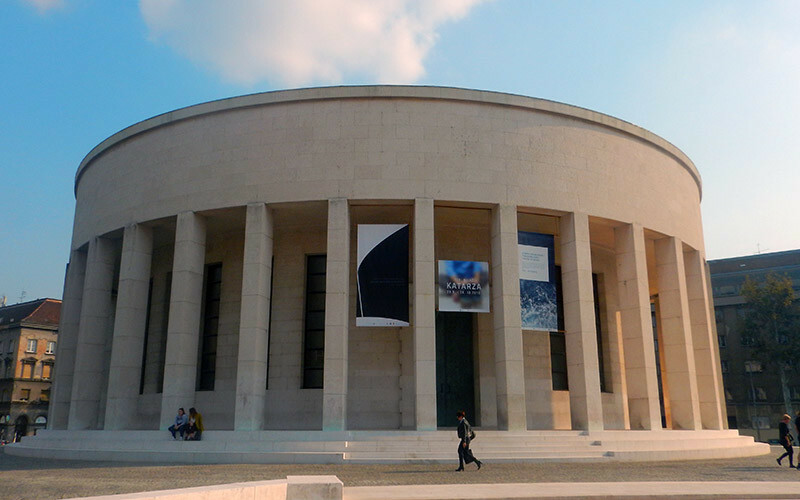 The Croatian Association of Artist runs the Meštrović Pavillion. In the pavilion’s three exhibition spaces they organize around 40 exhibitions annually. The Ring Gallery, the Barrel Gallery, and the Extended Media Gallery are all included in the ticket price so you can explore various exhibitions. Once you enter you arrive at the central exhibition hall the Barrel Gallery, intended for sculpture exhibits. On the first floor, you will find the inner Ring Gallery which also offers amazing views of the pavilion and the Extended Media Gallery. How to get to the Mestrović Pavillion? It is situated east of the Ban Josip Jelačić square, approximately 10 minutes walking distance, just through Jurišićeva Street and past the Croatia National Bank. You can find close by underground parking garages. The closest ones are the Petrinjska and Importanne parking garages. Parking Zone 1 is around the Meštrović pavilion. Read our guide about Zagreb Parking, Garages and Zones, Where to Park in Zagreb? We update it regularly with the latest rates, and guides on how to pay for parking in Zagreb.